we are cooking a Modernist Burger. I came across this the other night while reading book 3, Animals and Plants of the Modernist Cuisine: The Art and Science of Cooking series. 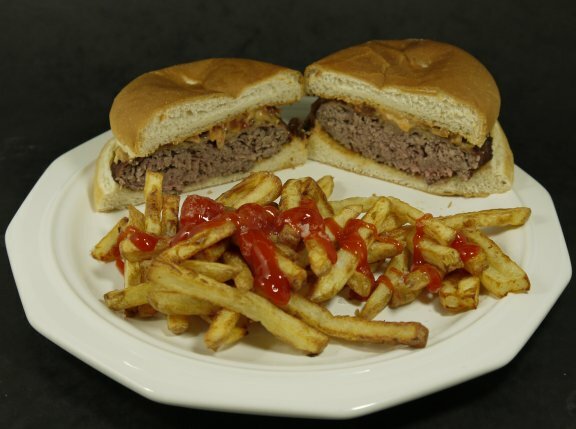 Page 86 is How To: Cook the Perfect Hamburger Sous Vide and I had to try it! I already had the perfect ingredient my ground beef. 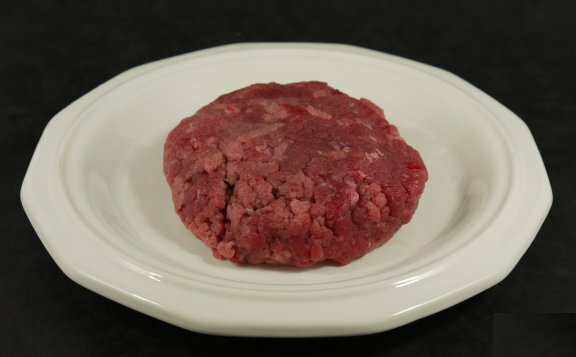 So tonight I made 240g of ground beef into a hamburger patty and put it into bag and sealed it. The Modernist guys said not to vacuum it but just bagged and sealed it because if you vac pack it the texture is not right. Ok I did that, but did not push all the air out so when I put it into the bath it was like a meat bag pool toy floating on the surface of the Sous Vide. 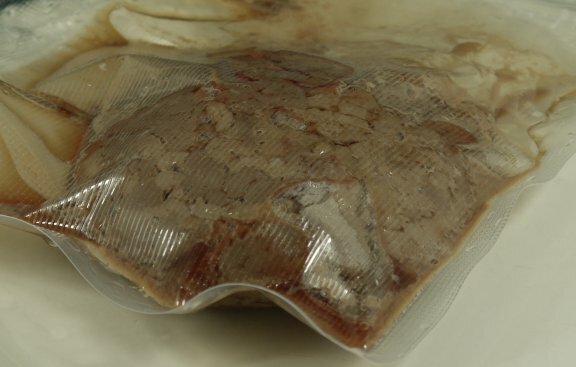 Hmmmm cut it open and fold it up and then reseal, there we go now it is a submersed meat bag with a little help from a rack. Now I put it into a bath for 134F for about an hour. Now this is where I may have made a mistake as the Modernist guys say 133 for ½ hour. But the picture looked a bit too red for me, so I changed it to 134F for an hour (possibly a mistake). 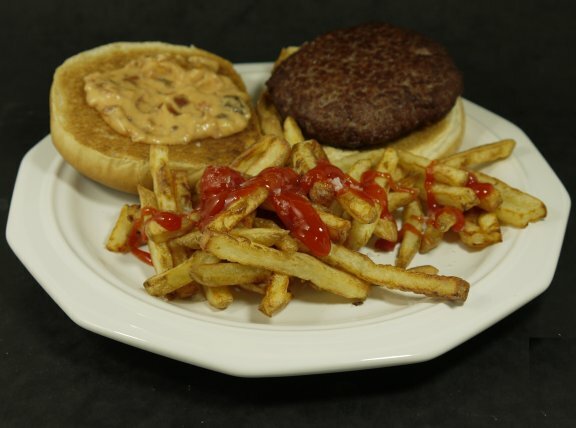 Do some french fries in the Tefal ActiFry about a half hour before the burger is done. 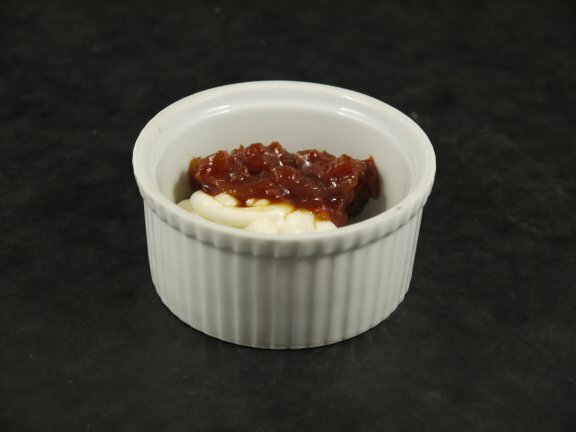 Also prepare some of my special sauce which is light mayo and tomato chutney. Also put the De’Longhi Coolzone Fryer on to maximum temp 190C, seriously hot! 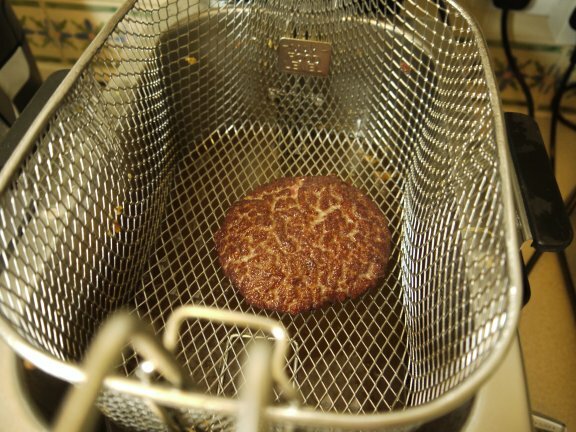 Here is what the burger looks like towelled off and ready for a serious sauna. take it out of the bag and pat it dry with paper towels. 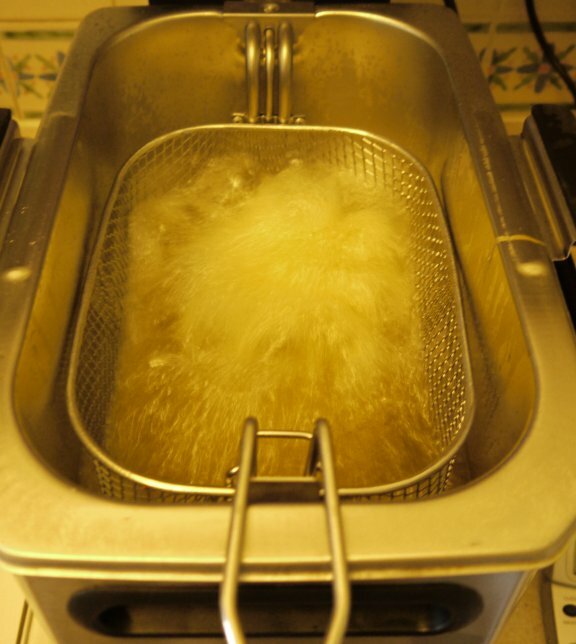 We do not too much of an eruption when it goes into the fryer. The crust on the outside of the burger was great! Crunch in every bit with no bitter or nasty burnt taste – win. The burger was over cooked. I am not sure if it was too high temperature in the Sous Vide or the fact that I left a major step out. 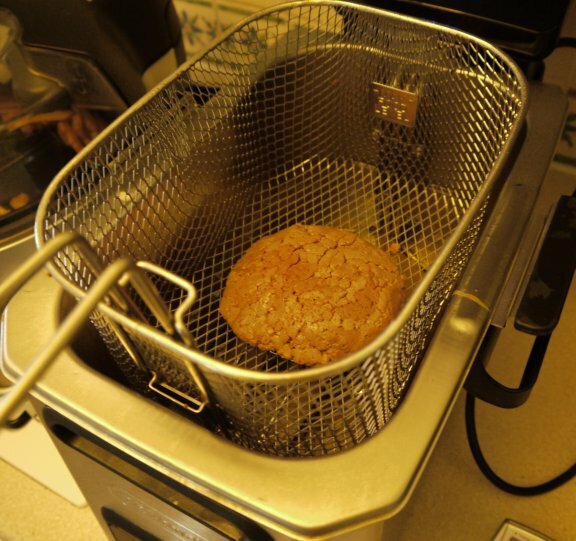 In between the Sous Vide and the deep fryer the Modernist guys put the burger into liquid nitrogen for 30 seconds, but my liquid nitrogen vessel is empty so I skipped it. This was really good and surprisingly light for a ½ pounder. But it was not the epiphany of hamburgerism I was looking for to full fill my life and soul. I will try again with a lower temperature in the Sous Vide and try to source some liquid nitrogen ( if you have any idea where please post a comment).